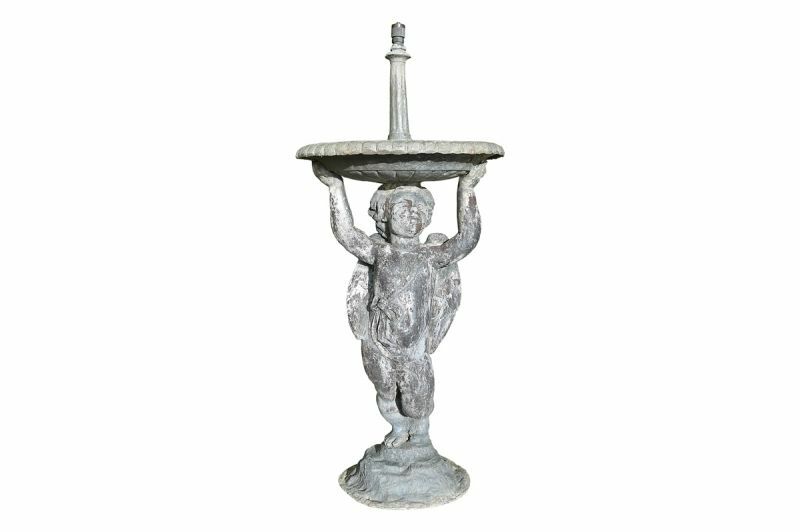 20th century lead sculpture of cupid for fountain centre. 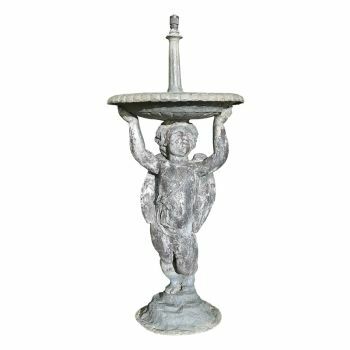 Cupid is holding the fountain bowl. Lots of character and perfect for any water feature.